Another day. Another TransportTech story from Egypt. Khobar-based Vision Ventures has invested in Egyptian bus booking startup, the firm announced today, without disclosing the size of investment. The investment is an extension of the seed round Buseet raised three months ago from 500 Startups, Cairo Angels, and some other angel investors, the firm told MENAbytes. 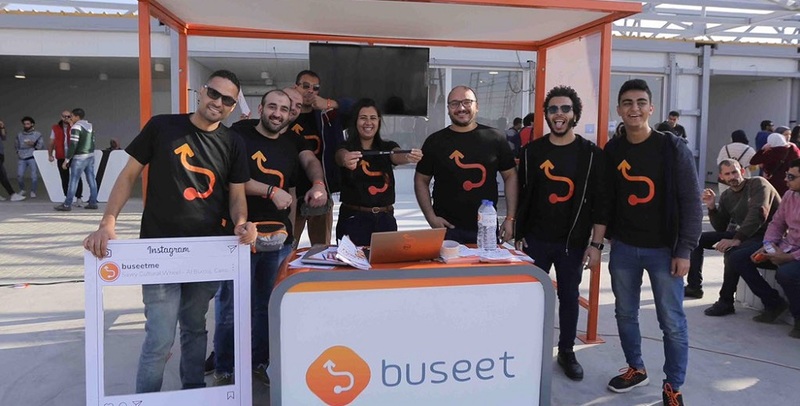 Founded last year by Amr El-Sawy, Khaled Moawad and Mohamed Abdel Aziz, who have previously worked at companies like Microsoft and LinkDev, Buseet allows commuters book modern minibuses, which are cheaper than the regular ride-hailing options and better than public transportation. Their services are currently available on some fixed routes in Cairo and Alexandria. You may learn more about them in this article where we profiled the company. “Buseet solves a simple problem with a simple no fuss solution. It offers commuters an easy, clean, comfortable and cost effective alternative that is better than public transport and cheaper than personal solutions. This is a very big problem in densely populated cities,” said Kais Al-Essa, the Founding Partner of Vision Ventures, speaking to MENAbytes. Buseet was initially available through its web-based platform only but has recently launched mobile apps for both Android and iOS. The investment comes at a time when both Uber and Careem have launched their own bus services in Cairo, and Swvl has raised tens of millions in its Series B at a valuation close to $100 million, with plans to expand into Southeast Asia. But that is not a cause of concern for Buseet’s latest investors. “We are aware of the market situation with both Uber and Careem having launched their similar services this week. If nothing else, it goes on to show the size of the market and opportunity at stake. Buseet operates very efficiently when compared to its competitors today. It is able to bring in customers at less cost while maintaining high quality of service,” Kais Al-Essa told MENAbytes. The total amount of funding Buseet has raised is not part of public record but it’s known that it is nothing even close to its competitors today, which means that no matter how lean its operators are, the company will have to go and look for more funds very soon.